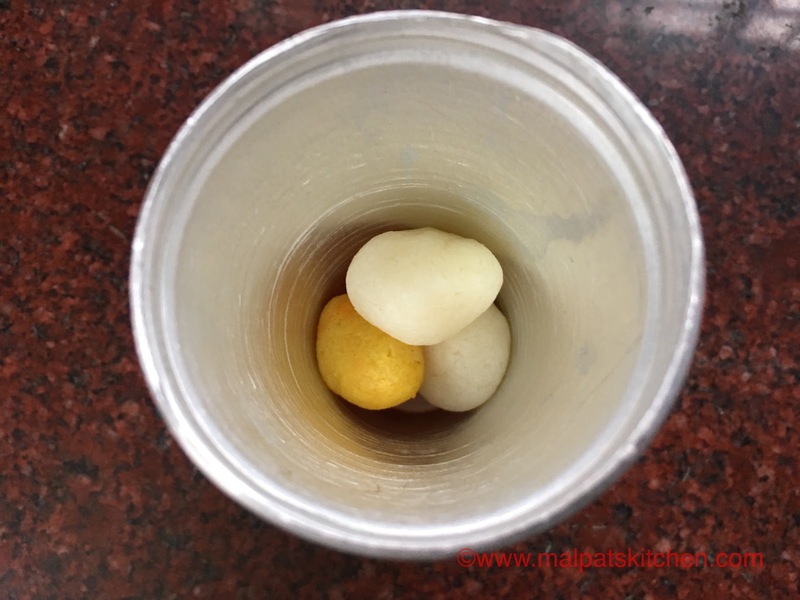 Always, in my family, we all love the Rasbaris ( the mini rasgullas). 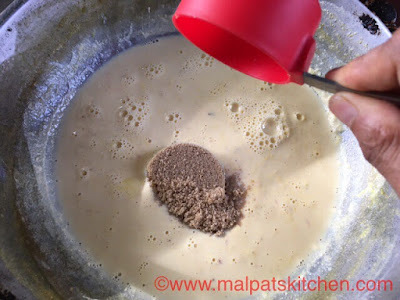 I thought, why not make a kulfi with these tiny delicacies??? 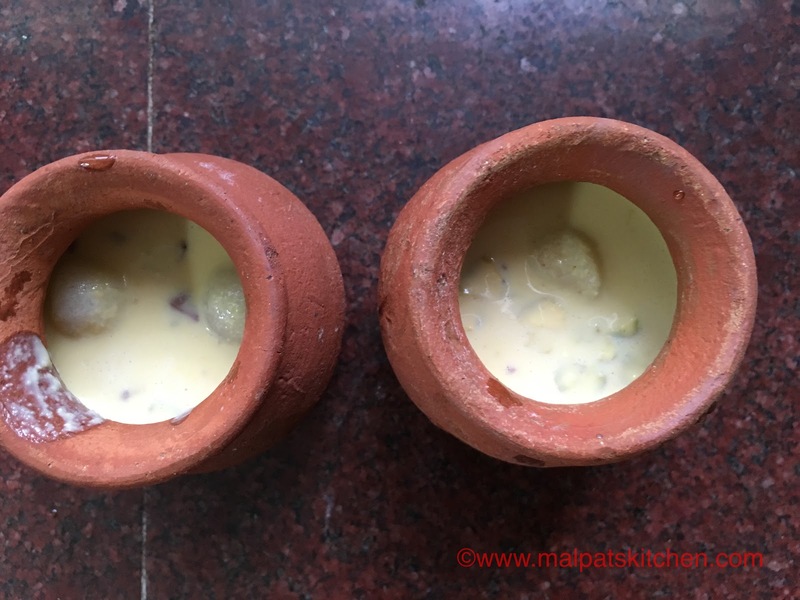 They turned out to be so good, there is nothing to be guilty of in this Kulfi, it is so healthy, no cream or condensed milk added. 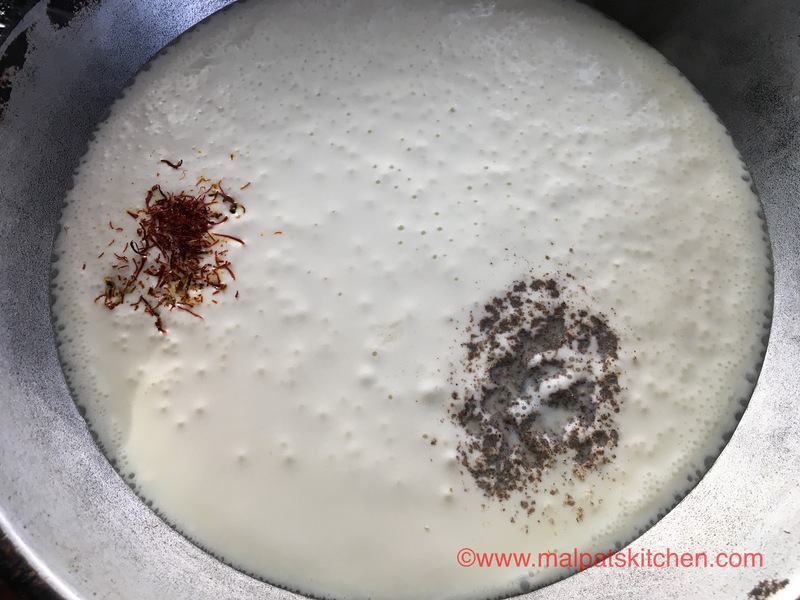 Can you see the tiny pink colored rasbaris? Rasgullas and Rasmalais can be checked too. 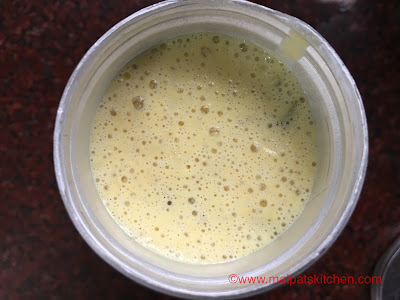 Home made khoya/mawa - 1/2 cup (The khoya/mawa making method can be seen in the Mango kulfi recipe). I made it a couple of days before and froze it, then on the day I made kulfis, kept in the fridge rack from the freezer. 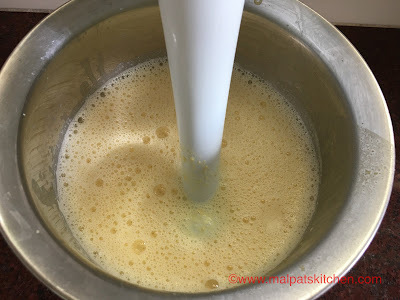 Milk has reduced to almost half, now 1/2 cup khoya is added. Mix well. Cane sugar added, and mixed well. 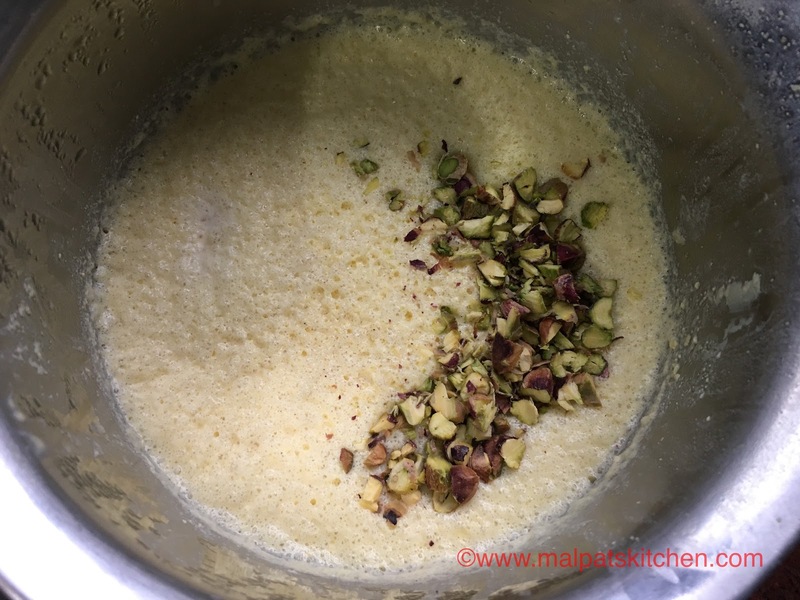 Beat it nicely with a hand blender, so that the grainy textured khoya will mix well with the milk and sugar. 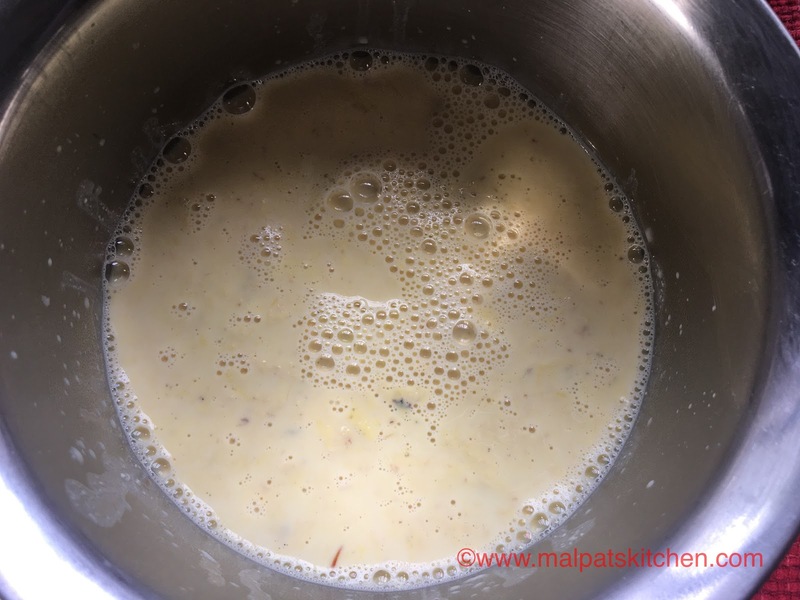 Let the milk mixture cool down fully. Slide in 4 Rasbaris inside the kulfi mould. 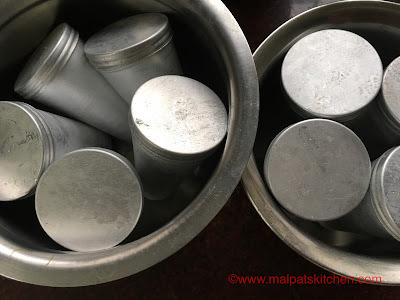 All the kulfi moulds loaded and kept ready. 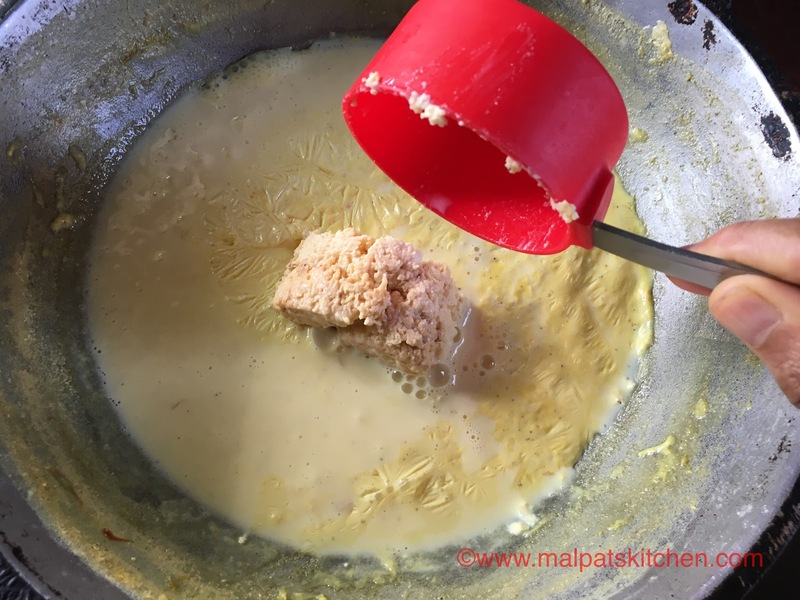 Freeze the kulfis over night and.... before serving, show the kulfi moulds under faucet for 2-3 seconds, gently open the lid, then, with a butter knife, loosen the sides, and lo!! 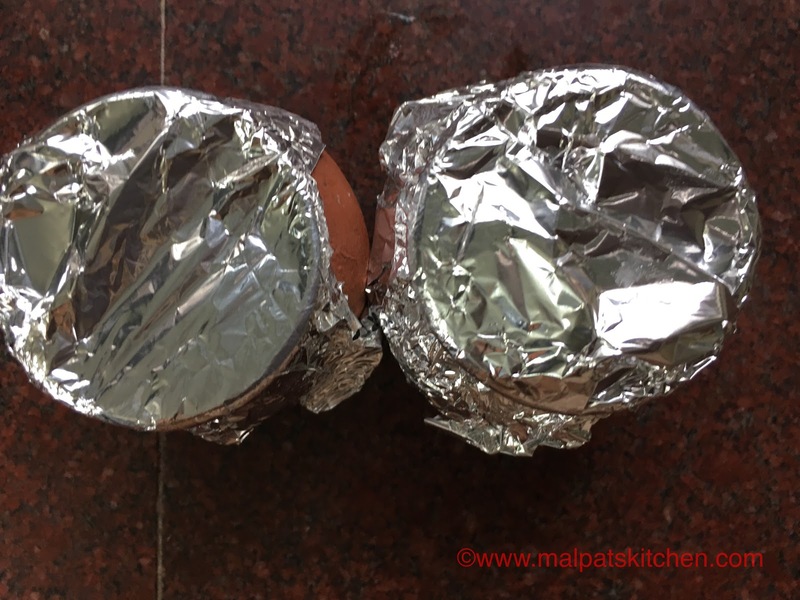 !they will slide out happily to your plate!!! * Since the rasbaris are already soaked in sugar syrup, I have used very less sugar. 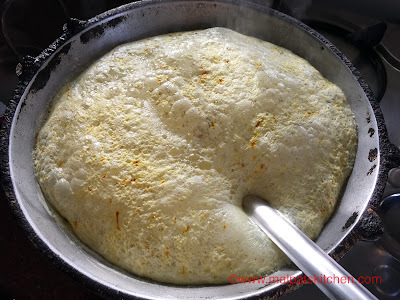 Whenever you bite the rasbaris, the sugar in it will equalize the sugar on the whole. However, if you are one with an inclination towards sweeter things, then increase the sugar by 4 tbsps, or add 4 tbsps white sugar.